The cubic yard box is the most economical way to ship and store solid hazardous or non-hazardous materials. Cubic yard boxes are made to store the equivalent of four 55-gallon drums. 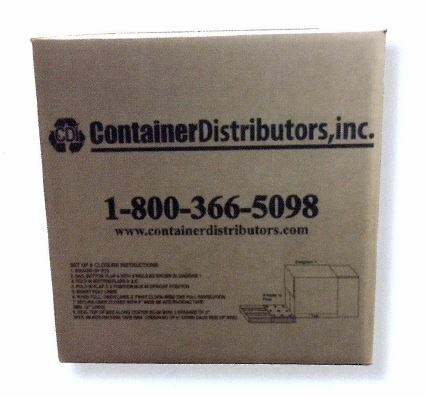 Container Distributors Inc. makes the boxes affordable to ship and easy to construct on site, so you can order any number that you need for any job. Each cubic yard box is made with triple-wall corrugation so it will stand up to the demands of your storage needs, as well as shipping and handling conditions. Available with an X UN rating, these boxes are suitable for transporting items in all hazardous material packing groups. 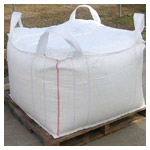 The 6-mil high-density polyethylene inner liner included also meets all CFR-49 requirements. Clean-Pak flat top hazardous waste disposal containers are similar to the cubic yard box, but include more moisture resistance and extra durability. Made from durable and flexible polypropylene, the Clean-Pak flap top is not affected by moisture, such as leaks from pipes or other containers in a warehouse or even rain or snow moisture in outdoor storage conditions. 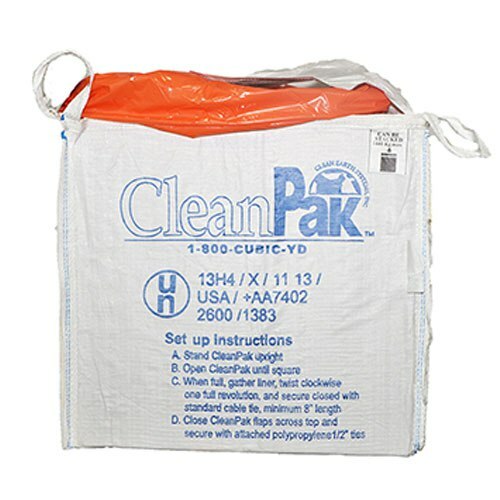 The Clean-Pak flap top has been tested to hold up to 3,000 pounds and can replace the equivalent of four 55-gallon drums. These hazardous waste disposal containers are safe to stack two high and with an X UN rating, they are suitable for all hazardous material packing groups. The Clean-Sak is an easy solution when storing hazardous waste in an outdoor storage area. Like the Clean-Pak flat top, the Clean-Sak is made from tough, moisture-resistant polypropylene, so it will not be damaged by rain or liquids. The Clean-Sak is designed for the storage, shipping or disposal of solid waste materials only and can hold up to 2,000 pounds safely. The Clean-Sak is also designed to fit easily on a shipping pallet, so the stored materials can be moved or relocated quickly and conveniently.